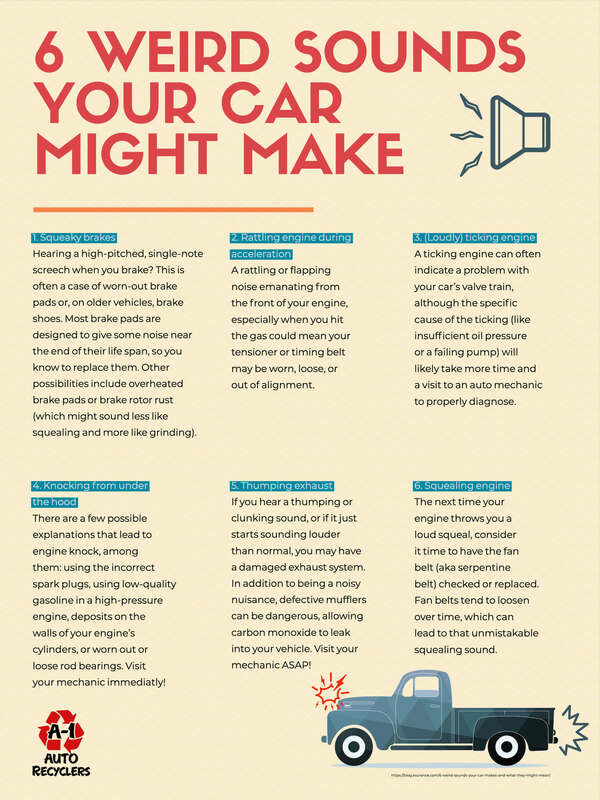 Is your vehicle making an odd sound? A-1 Auto Recyclers has a full service mechanics shop on site. Whether you have an unknown problem that requires diagnostics, need a simple maintenance service, or require a significant repair, we have the experience, equipment, and parts available to do the work. From oil changes and fluid flushes to spark plug replacement or alternator repairs, we get all types of vehicles running smoothly again. Our mechanics team will work with you to provide a detailed estimate, make the repairs quickly, and get you back on the road.